No doubt, seminars - - whether to the public, your own clients or potential referral sources - - are an extremely effective way to drive consistent revenue to your firm, when done right. The problem is, most estate planning professionals haven’t been taught how to plan, market and effectively present seminars that, time after time, consistently produce a healthy return on investment. Most seminar presenters unfortunately rely on trial and error as their teacher, or learn from others who really haven’t perfected the success formula. Or, worse yet, many are learning how to do seminar marketing from those who aren’t even doing seminars - - right here and right now in today’s highly competitive estate planning market. 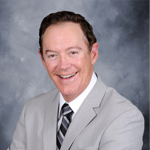 Fortunately, you have the unique opportunity to learn directly from an expert who has perfected the seminar success formula and continues to profitably apply that formula right now in his own law practice - - nationally renowned estate planning attorney, Philip Kavesh. Whether you’re an estate planning attorney, financial advisor, life insurance or annuity agent, for the first time ever Phil will share with you his seminar success formula in detail on three 90-minute teleconferences that are a part of a special 3-part series entitled, “Everything You Need to Know About How to Successfully Plan, Market, Facilitate & Present Successful Estate Planning Seminars - - A Special 3-Part Series”. What the facilitators should say and do at the seminar - - and not say and do - - so you make appointments with over 80% of attendees, right there at the seminar! What reports must be generated the day after, a week after, and a month after - - so you can hold everyone accountable and continue to perfect your system and results! If you’re looking to improve your current seminar marketing efforts, or are thinking about doing seminars for the first time, or have given up on seminars but would reconsider doing them again the right way, this special 3-part presentation series is a must for you. 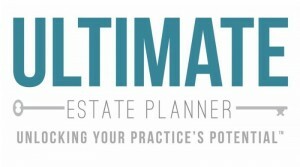 The programs in this 3-part series entitled, “Everything You Need to Know About How to Successfully Plan, Market, Facilitate & Present Successful Estate Planning Seminars - - A Special 3-Part Series” can also be purchased individually, if you do not want to purchase all three programs. Below are links to register for those individual programs.